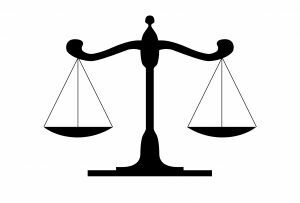 IntLawGrrls: Comparing the "Interests of Justice"
As readers of this blog know, there is an ongoing discussion over the “interests of justice” at the International Criminal Court. It has arisen in the context of the situations including Uganda and Darfur. In one camp are those who argue that the Office of the Prosecutor of the ICC should defer investigations or prosecutions in favor of peace negotiations, relying on Article 53’s “interests of justice” provision. Others contend that justice requires accountability rather than making deals with alleged international criminals. The “interests of justice” provision is ambiguous, and the OTP’s interpretation of it is vague. This has led for calls for the OTP to adopt specific criteria for “the interests of justice,” for example, from Mireille Delmas-Marty at the recent ASIL annual meeting luncheon, posted on IntLawGrrls here. The debate over explicit criteria for the “interests of justice” led me to examine how courts in the U.S. have interpreted dismissals in the interests of justice. I do so in my forthcoming article, Comparing the 'Interests of Justice': What the International Criminal Court Can Learn from New York Law, 12 Wash. U. Global Studies L. Rev. (forthcoming 2012). I address the broader debate over whether the OTP should adopt ex ante guidelines for prosecutorial discretion in order to increase transparency and legitimacy. I focus on one of the most ambiguous provisions of the Rome Statute, allowing the Prosecutor to decline to prosecute in the "interests of justice." I examine the experience of New York in operationalizing a domestic statutory analogue: dismissal in the furtherance of justice. An analysis of New York law yields three core lessons, which carry over to the international sphere despite differences in the systems. First, requiring a written rationale regarding exercise of discretion does not necessarily yield thorough or convincing explanations, undermining arguments that the legitimacy of the ICC will be enhanced by public explanations of prosecutorial discretion. Second, such explanations may backfire when the balancing of nebulous factors leads to apparently inconsistent or arbitrary reasoning and results, which may undercut the credibility of the decision-maker. Finally, the lack of a guiding theory to drive the interpretation of ambiguous criteria can lead to more confusion than clarity when there is no agreement on the theoretical justifications for prosecution, as seen in both the domestic and international systems. The experience of New York therefore supports skepticism of the efficacy of ex ante criteria for the exercise of discretion, particularly for complex decisions regarding the interests of justice. If such criteria are nonetheless adopted, for example by the new incoming Prosecutor of the International Criminal Court, the New York experience offers suggestions on crafting a more effective approach. In addition, there must be acceptance of some apparent inconsistency in outcome, including recognition from both the ICC and outsiders that each situation will differ and that context matters. In particular, an effort should be made to work toward common understandings of “justice” in terms of the goals of the ICC and the purpose of prosecution specifically. The projects of adopting prosecutorial guidelines and agreeing on the underlying purpose of the ICC should work hand in hand, so that any prosecutorial guidelines will reflect a shared vision of the ICC. Keeping in mind the potential pitfalls illustrated by the adoption of “interests of justice” criteria in New York, the Prosecutor could work with the international community toward agreement on a shared understanding of the “interests of justice” and concomitant prosecutorial guidelines to see that vision come to fruition. This is, of course, a monumental task, as recently discussed in Dr. Kamari Maxine Clark’s IntLawGrrls posts here and here on the peace/justice divide. It will be fascinating to see whether/how a new leader at the OTP may change its approach to the interpretation and implementation of the interests of justice provisions.